SUSEGANA, Italy – From 20 to 24 September, Astoria will take part in Terra Madre Salone del Gusto, the international event dedicated to good, clean, healthy and fair-trade food that will animate Turin for five days. Astoria partners with Slow Food, in the capacity of technical partner for coffee machines. The Treviso company, which distributes its espresso coffee machines to over 160 countries worldwide, continues to invest heavily in technology and research in order to achieve increasingly higher standards in the delivery of multi-blend and single-origin coffees, respecting their personality and enhancing their organoleptic characteristics. And it is precisely from this corporate vision that Astoria has created the concept of Slow Espresso Experience, whose aim is to enhance the sensorial experience of coffee tasting together with respect for sustainability and quality of ingredients. Among these ingredients, and along with coffee, water is of fundamental importance. At Terra Madre Salone del Gusto, Astoria will bring Storm FRC, the innovative version of the Barista Attitude model, fitted with individual inputs for each group, which can then be combined with specific filters. In this way, the barista can customize the type of water for each group, altering the organoleptic characteristics of water, and, as a result, of coffee. The game will consist in tasting the same coffee dispensed from three different groups with different filters, letting the palate feel the difference. The Astoria coffee machines will be installed at different locations of the event, including the Slow Food Movement coffee parlor and the Pollenzo University of Gastronomic Sciences stand that will be equipped with the new Storm, the most representative machine of Astoria’s design, thanks to its innovative technical features conceived to enhance the peculiarities of each coffee, while also preserving its immense biodiversity also during the tasting. 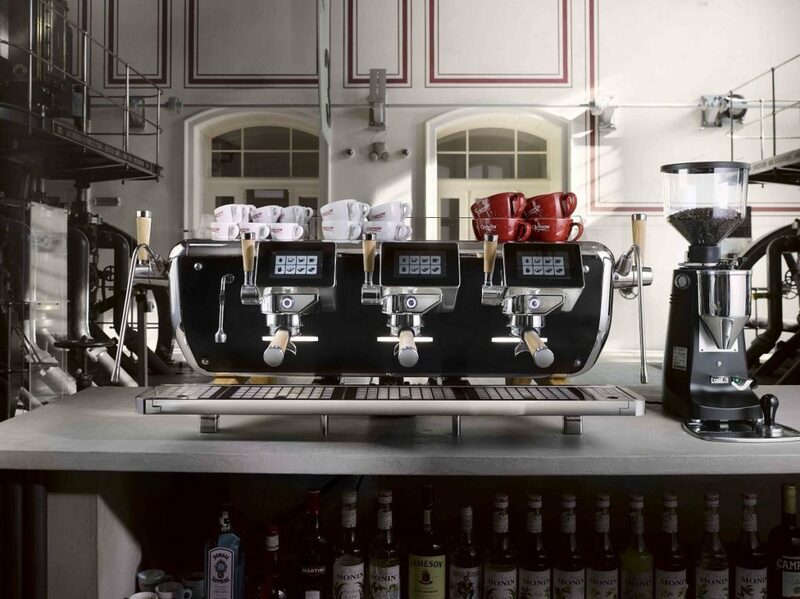 Indeed, with Storm, the bartender can set with maximum flexibility the delivery temperature of each group, allowing to precisely meet the needs of extraction of different types of coffee and define precise sensory profiles of the product. Furthermore, the small and versatileGreta, suitable for both professional and semi-professional use, will be the Astoria machine installed in the B2B area, for tasty moments of relaxation between visits to stands, in the press room and in the lounge areas, Hall 2 and Oval. For more information on Terra Madre Salone del Gusto: www.salonedelgusto.com.